In the last few years, the Chinese Government has enacted major healthcare reforms recognizing biopharmaceuticals as a key industrial focus area crucial to providing healthcare for patients in China and the world. And for good reason. In 2015, about 4.3 million new cancer cases were reported in the country. Globally, seven of the top 10 selling medicines are biologics, and sales are growing. Yet, today, biologics account only for four percent of the medicines prescribed in China. This means drugs that could help patients are not being used because they are not accessible. Here lies the value of local biopharmaceutical manufacturing. Artwork of the Global Biotechnology Center, set to open in 2018. Above: FlexFactory bioreactors, where cultures are grown and biologics are made. These will be a key part of the Global Biotechnology Center in Hangzhou, China. 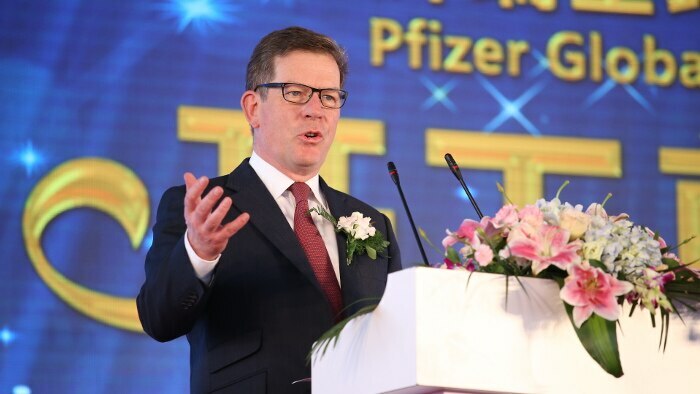 Noting the opportunity and promise of additional treatments for cancer, diabetes and other diseases, pharmaceutical company Pfizer announced this week that it will invest around $350 million to develop an exceptional Global Biotechnology Center in Hangzhou Province. Local manufacturing is key because it provides a more affordable way to deliver modern therapies, including drugs to combat deadly diseases such as cancer, which is the leading cause of death in China. 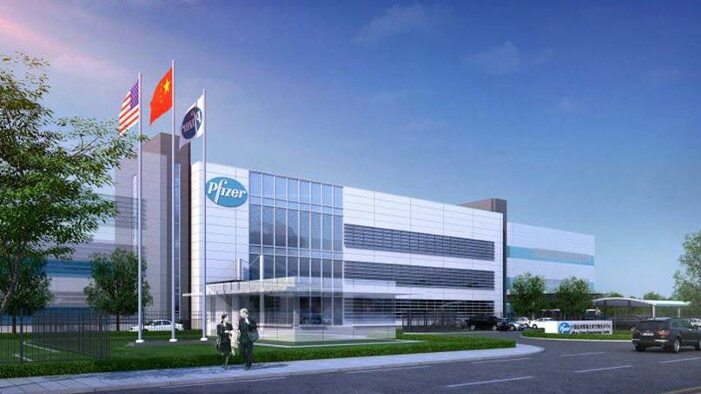 To bring advanced biosimilar products to the Chinese market quickly, Pfizer’s Global Biotechnology Center will make use of GE’s KUBio advanced modular manufacturing solution. KUBio modules are pre-fabricated with GE’s Flexfactory processing technology that significantly reduces construction and installation time. The center will also include filling and packaging lines providing end-to-end manufacturing capability in a single facility. Kieran Murphy, CEO & President of GE Healthcare Life Sciences, speaking at a press conference in Hangzhou this week. The KUBio comes pre-fabricated in 62 modules made in Germany and shipped to China for assembly onsite. 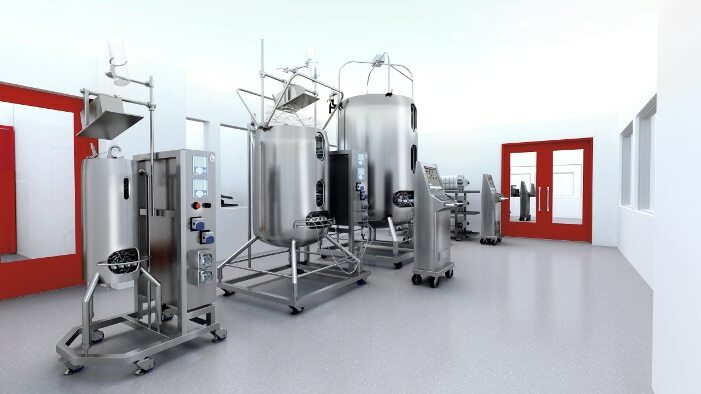 Once in place, the KUBio is equipped with a FlexFactory bio-manufacturing platform comprised of around 250 components including single-use technologies and associated process hardware as well as all necessary automation and control components for start-to-finish manufacturing of biosimilars. KUBio can increase manufacturing flexibility and can help reduce build costs by between 25 and 50 percent compared with equivalent traditional facilities. 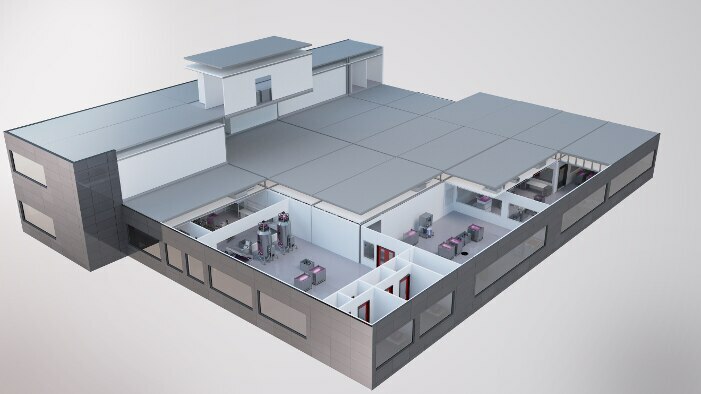 “As governments and companies the world over strive to give patients access to a new class of life-changing biological medicines, GE’s KUBio modular factories allow biopharmaceutical companies to get their products to market quickly so they can respond rapidly to local healthcare needs,” said Kieran Murphy, CEO & President, GE Healthcare Life Sciences.